Tyrone Williams is not offended by the Battle Flag! His ancestor fought with the 16th South Carolina and he's very proud of it. Tyrone has Dixie as a ringtone on his telephone and a Confederate flag license tag on his pickup truck. He is a 'hard-core' Confederate of Camp 1857 in Leavenworth, Kansas. Folks don't mess with him because he's a retired deputy federal marshal, packs heat and is 6'2". God bless Tyrone for taking a stand! 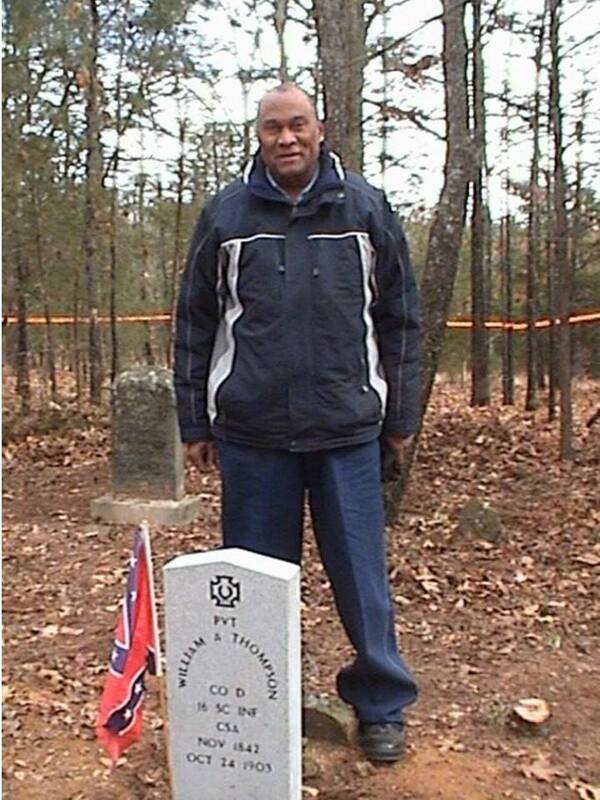 Compatriot Williams is shown standing over the Confederate headstone of his ancestor. This is where the term uncle tom comes from.